A little while back, a longtime friend of ours—Olivia Mancini (above, right)—approached us about doing some work for her band, Astra Via. Now, as many of you may have heard in the past, working with friends can be a tricky affair. But we knew as soon as we were asked, before ever hearing a note of music, that, if it was something Olivia had anything to do with musically, it was going to be well worth being a part of. We didn’t quite realize it was going to be this awesome though. I’ll ask you to put aside any misgivings you might have knowing that we’re good friends with Olivia and trust us when we say that Astra Via’s new EP, Echo Birds, is truly start-to-finish superb. Unlike the more rock-based music we’ve known Mancini to craft in the past, with creative partner—Jarrett Nicolay—she’s charting brand new territory, wedding electronic-based sounds with guitars and drums and other more traditional analog instrumentation to create beautifully shimmering pop gems. On the eve of their EP’s release, we wanted to take a moment to talk with Jarrett + Olivia about the band mechanics, how they create songs together, and how they stay engaged in a musical scene that’s shifted so much since they both first started out. We’re also happy to be premiering a favorite track form the EP, “Nobody Knows”, which you can hear if you scroll down this page. 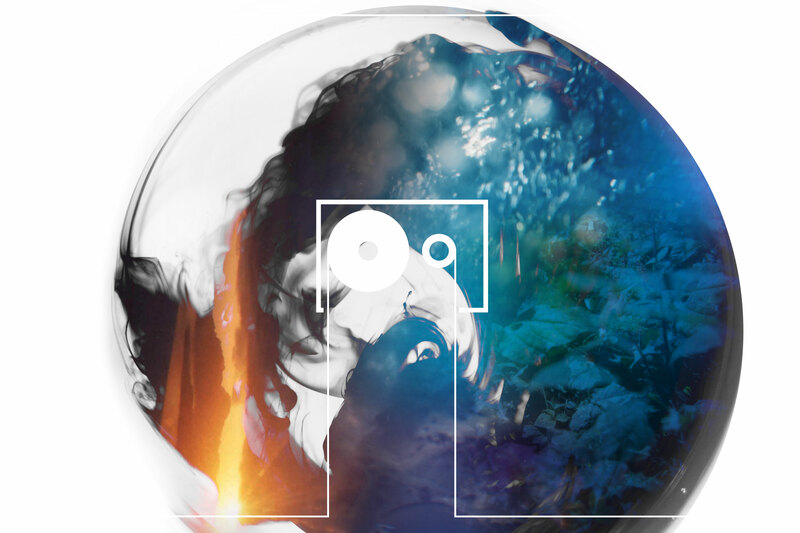 You can see the album artwork + watch a video for another track from the EP down there too. Kindness of Ravens: So, tell us how Astra Via first started. You both seem to have so many other things going on musically, I’m curious as to how you first started collaborating. Jarrett Nicolay: I think it was our common affinity for the early Beatles catalogue…and also Adam (who drums for Virginia Coalition). A few years ago he had the foresight to acquaint us knowing that we had similar and hopefully complementary musical instincts. Olivia Mancini: I asked Jarrett out for a drink to ask if he would be in a band with me. I was so nervous, I had two drinks before we even met up for drinks. Guess what? He said yes! Aw. It was like a musical blind date. So, is it a situation where one half of the duo is more the song-writer or do you both have or your own songs, as it were, or do you split things pretty evenly in a creative sense? JN: We find creative ways to balance it. Our goal is to have the most collaborative result possible. So if one of us has written more of a particular song, the other tends to take the lead on the production. It’s not a conscious process though. It’s more Darwinian. Olivia effectively talked me down from a potentially dangerous Boys to Men reference in “The New Fiction”. And for that I’m thankful. OM: Um, Jarrett, that’s “Boyz II Men,” please. We’ll find the right spot for a early ’90s R+B style “Girl…”on the next record. What‽ I feel robbed as a listener + fan! Now, I know you moved up to NYC from DC, Olivia, where the collaboration originally began. We’ve talked with bands whose members live in different cities before, but, for you all, how do you collaborate creatively from afar? Does it make song-writing tough? 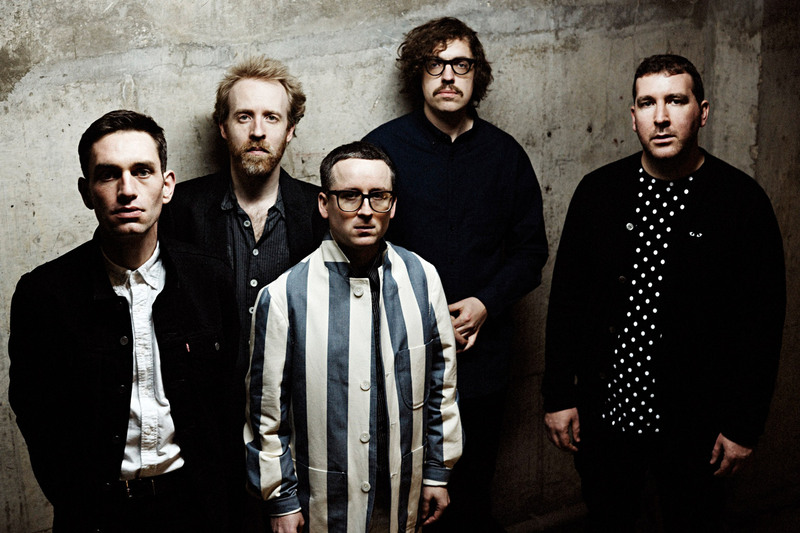 JN: We do a lot of file sharing for sure, but when we are in the studio together we have this geographic sense of immediacy so we tend to get a lot done. OM: Jarrett is a whiz in the studio. One method we use is me sending him a crap acoustic demo of a new song I recorded in my closet on Garageband through my computer mic. He then sends me back a fully produced version of my same demo which, suddenly, sounds great, and we go from there. I’m really not sure how he does that but I’ll take it. That’s awesome. Jarrett—I’ve got a few terribly recorded tracks that I did whilst walking my dog I’m going to send you. I’m expecting amazing results. Now, I wouldn’t call you all an electronic band, necessarily, but many of your songs tend to have a good bit of electronic influences + instrumentation. Olivia, most of the work you’ve done that I’m familiar with—Olivia + the Mates, your work with Ruby Rae, Washington Social Club back in the day—is or was much more traditional in its instrumentation; guitar, drums, bass, et cetera. Same story with Virginia Coalition for you, Jarrett. Was shifting your sound something that took some getting used to for either of you? JN: Definitely not. I’m super excited by sounds that haven’t been heard before, so in my mind, that’s always a goal. Eventually you run out of options with traditional instruments so you move to a new set of sounds. We still use a ton of guitars and drums, we just try and stretch them out a bit; make them a little unrecognizable. OM: And I was eager to try something new. Indeed, Troy, none of the music I’ve been involved with so far has featured an electronic component. But I agree with what Jarrett is saying—Astra Via seeks to blend so that we’re not entirely one way or the other. This record, especially, is heavy on the “sounds”. The next one may not be. For all we know, we may decide to go Renaissance instruments on our third release. Ooh—Joanna Newsom style. I like it. What do you think, then, is the best approach to marrying more organic, analog sounds with digital ones? Do you, nylon-stringed guitar, take this Nord Stage 2 to be your loftily wedded…sorry. Who are some inspired/inspiring musicians that you all think do that well? JN: I love the newish Vampire Weekend record. I was never a huge fan but the new record came out while we were mixing our EP and it gave me a bit of reassurance that we weren’t totally crazy for making the record we had made. OM: I think Metric has been doing this well for years. Future Islands is another one that comes to mind. Oh, yeah—Future Islands is a great example. You win, Olivia! Technically speaking, what do you all use in terms of keyboards or sequencers or software for the instrumentation? JN: Neither of us are gear heads so it’s always a bit of a challenge. Lot’s of old Casio keyboards. Lots of room mics. Happy accidents aren’t uncommon either. OM: And a lot of the sounds on the record, as Jarrett was describing, are effected or re-ordered analog sounds. There’s a percussion part that is actually Jarrett slapping on his belly. Sorry, Jarrett, is that too personal? Ew. What keeps you two writing + performing music, either together or individually? I feel like, though it’s easier to get your music ‘out there’ today, it’s so much harder to get noticed in such a much more crowded field and, on top of that, it’s nearly impossible to make a living off of music these days. What keeps you coming back? JN: It’s like trying to quit sniffing glue. I got the ice in me…. OM: Honestly, I think about quitting music a few times a month. It can be frustrating and depressing to try to get people to pay attention to your music in a listening environment that is simply oversaturated. But, as a wise musician friend said to me the other day, music has given me much more than it taketh away. My job is to be content with the idea that I’m producing music and keep working to make it better. It doesn’t matter what happens to it once it’s out in the world, as long as I’m happy with it. Very well-put. What do you all think of the DC music scene these days? JN: We don’t play live anymore so I can’t really say. Olivia would know better…. OM: Seems like there are more bands and venues than ever. And, despite Black Cat owner Dante’s recent comments, I think that’s a good thing. Who are some bands you’re both listening to a lot lately? JN: Honestly, probably the Monkees. OM: Graham Nash, Jackson Browne…Squeeze, who I hadn’t listened to in a long time. “Up the Junction” is still a favorite song. We always like to ask about name origins—where does Astra Via come from? What are you, a scientist? So what inspired the title track, “Echo Birds”—it seems like kind of a summing up of the other songs on the album and themes that bind them, right? A musical Cliffs Notes? JN: I guess it’s a Bollywood/Robot/Sgt. Pepper reprise kinda thing…so cliché. OM: Hilarious, Jarrett. Yes, it’s a pastiche of all the songs on the record, manipulated as to sound almost unrecognizable. So…musical Cliffs Notes. You’re welcome. Who are the two (very cute) kids in the video for “Fast Forward” (below)? Cool video by the way. JN: The girl is the daughter of the director, Jeff Nesmith. The boy is a family friend of theirs. Together they win all sorts of cuteness awards…are they too cute? Maybe a little too cute…. OM: The kids really helped boost interest in the video. Next time, we’ll have to go with puppies. Smart! Olivia—favorite thing about NYC? OM: Ah, favorite thing about NYC is definitely the walking. I love that I can walk out my door and find anything I need within three blocks. Last week, it was a computer mouse. Yesterday, it was a vintage fall jacket. And thing you miss most about DC? We feel the same way about LA/NYC right now. Jarrett—favorite thing about DC? JN: DC Brau. If you haven’t had it yet, it’s superlatively tasty. Ooh, I haven’t. Looks awesome though. Both of you have been in ‘the Biz’, as I hear it’s called, for some time now. You have to have some entertaining/funny tour or recording stories between the two of you. Hit a brother up? JN: I have both peed and barfed off of a stage during a show (not the same show). OM: Troy, my mom is going to read this. We’ll have to talk privately. Prudent choice, Olivia. Best celebrity sighting of all time? JN: I was once on a plane with Will Ferrell and the in-flight movie was Old School, starring Will Ferrell. I wasn’t exactly sure what it meant, but I knew something special was occurring. OM: The time I ran into Tony Danza on the set of the Carson Daly show. I was saying “Hello, my name is Olivia” as he was saying “Thank you, thank you very much.” We looked at each other, silently acknowledged that the conversation had gone badly, and walked away without another word. That’s beautiful. If you were a mythical animal of some sort, you’d be…what? OM: A mermaid, definitely. Though those shell cups look kind of uncomfortable. Hahah. Finally, I notice you list ‘shrooms’ on your Facebook page under influences. Want to expand on that? 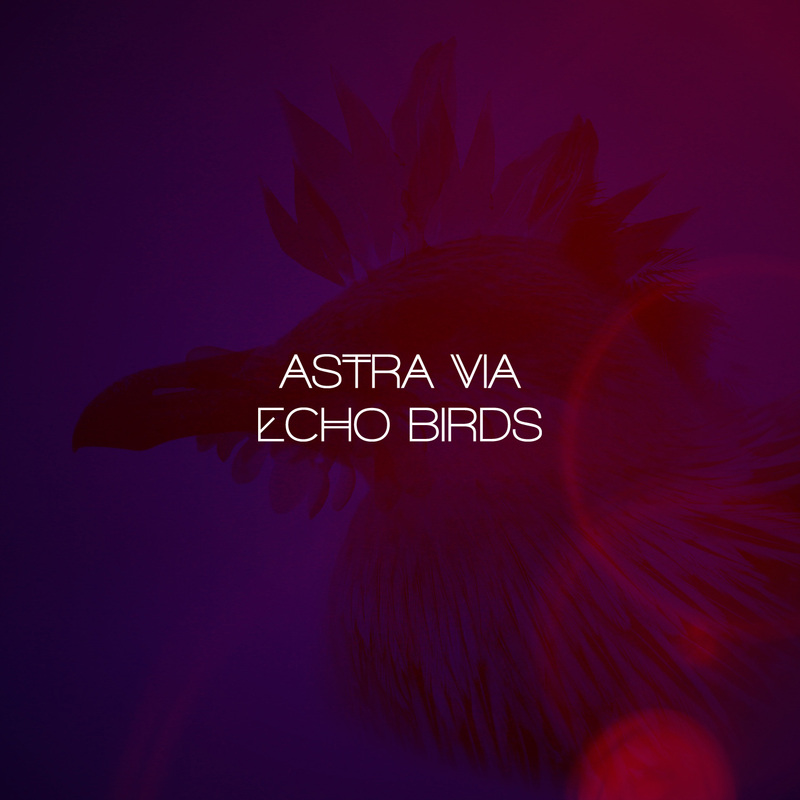 Astra Via’s new EP, Echo Birds, will be released tomorrow, but you can pre-order it now via iTunes. 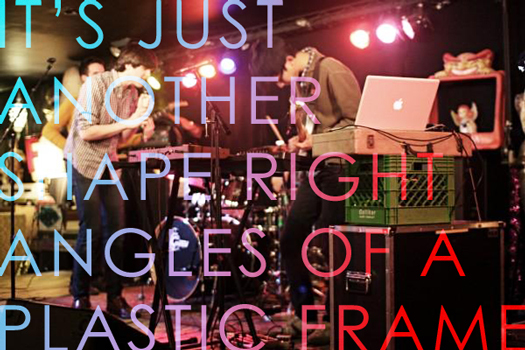 You can also listen to + download their debut EP, Folie à Deux, via their band camp page, and listen to (click) and download (right-click) their track, “Nobody Knows” below. Band photos courtesy of Pick-Up Productions; band illustration by Matt Corrado; album design by…us!